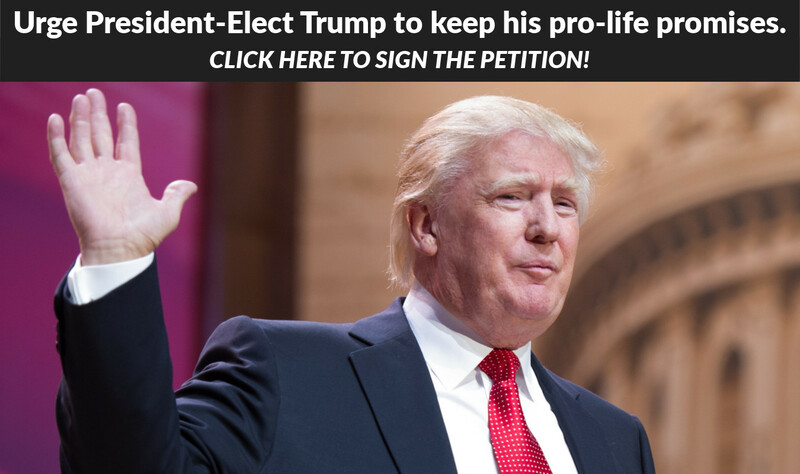 WASHINGTON, D.C., November 10, 2016 (LifeSiteNews) – Donald Trump's victory shows "a repudiation of not just Barack Obama's eight years of big, statist government, anti-faith, anti-family policies, but really a rejection of a court that has acted as an oligarchy for the last four decades," Family Research Council Action President Tony Perkins said at a press conference Wednesday. "We are on the cusp of a conservative generation," said Perkins. He noted the historic, high evangelical turnout and praised Trump for giving "the most concise definition of late-term abortion that any Republican or any presidential candidate" has articulated in a general election. "There were a lot of premature obituaries written of the religious, conservative, and pro-family movement during this campaign, and we can now say this morning, as Mark Twain did, that the reports of our death have been greatly exaggerated," said Ralph Reed of Faith & Freedom Coalition. There was a "bright line of demarkation" separating the candidates on key life and family issues, he said. David McIntosh of Club for Growth compared this election to Brexit. Penny Nance, the President of Concerned Women for America (CWA), commented, "Concerned Women for American Legislative Action Committee members are more than happy to wait for our first woman president. Hillary Clinton was not the right one, and we deserve better...We voted based not on gender or personality but in defense of the Supreme Court, the sanctity of life, religious freedom, national security, and economic freedom." She announced that CWA plans to host local prayer rallies at Planned Parenthood in key states, urging the government to shift funding to community health centers that don't commit abortions. "Senators will be put on notice that taxpayer dollars must no longer be used to take life," she said. Susan B. Anthony List President Marjorie Dannenfelser gave a similar rallying cry: "We are teed up to defund Planned Parenthood."